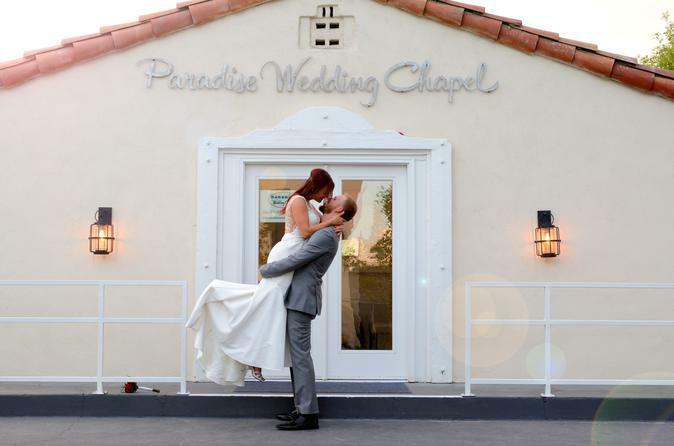 Paradise Wedding Chapel is a clean and modern Las Vegas Wedding Chapel that offers you several packages to choose from. If you are short on time and you just want to get it done, you can choose the Quickie Sign & Go. With this option, you will have the ease and benefit of a Las Vegas Wedding with no hassle, no details to worry about, and no planning! Of course we also offer very romantic ceremonies in our sleek and modern wedding chapel. We have options to fit all budgets. For a legal wedding, you will need to get your Nevada Marriage License at the Marriage Bureau. We are located just 2 minutes from the Marriage Bureau! The Quickie Sign & Go is for a minister signing at the counter. This does not include any photos, ceremony, vows, vow renewals. You will need to bring in your Nevada Marriage License to Paradise Wedding Chapel. Our Licensed Minister will sign your Marriage License and you can be on your way to all of the Las Vegas fun that you have planned! Our Licensed Minister will also file your Marriage License with the Clark County Clerk. This is the Legal Wedding that is for the couple that does not want to spend a lot of time or money on getting married in Las Vegas! We also offer other packages in case you decide you want to add some photos or flowers to your wedding.